Google Apps (now known as G Suite) has become massively popular in the enterprise world, with over 3 million businesses running it (Google). It’s collaborative suite of tools have granted businesses the ability to collaborate and work smarter, becoming an invaluable tool to organizations. It grants employees the ability to work on projects together, from any location at any time. By working to improve a company’s productivity and ease of access, Google has created a staple of the modern business world. The best part about G Suite is that it isn’t predicated on having an established business either. Organizations, large and small, can succeed with the benefits from G Suite. In fact, it could be argued that there has never been a better time to start a new business, or even run a small to medium sized enterprise. Due to the advancements in the IT world, including SaaS-based applications and cloud infrastructure, startups can grow their business at a faster and more cost-effective rate than ever before. We have seen tens of thousands of startups emerge in this era, and there are only more coming. This is all possible in part due to the companies taking advantage of the new innovations and technology of the IT world. Even though Google Apps is an incredible tool, there are still some gaps that it can’t fill. This includes giving IT admins the ability to manage their on-prem devices, internal applications, other non-Google applications, and more. This does not have to be an accepted gap in security and functionality though. With Directory-as-a-Service®, it is possible to regain control over all of your applications, systems, data and files, and networks, through just your G Suite identities. The benefits of G Suite can be employed by your end users with ease, and the management of it all for IT admins is just as easy. 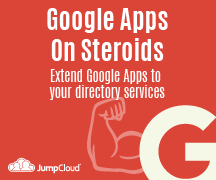 To detail how this combination works, we created a ebook on the topic titled: Google Apps on Steroids: Extend Google Apps to Your Directory Services. If you would like to check it out, you can find it by clicking on the image above! 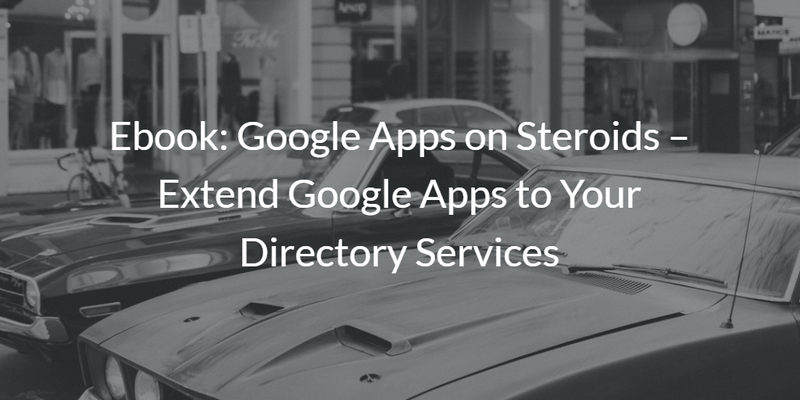 If you would like to learn more about how Directory-as-a-Service combined with Google Apps can help your business succeed, all while IT admins maintain control over it all, drop us a note. We would be happy to answer any questions that you may have. 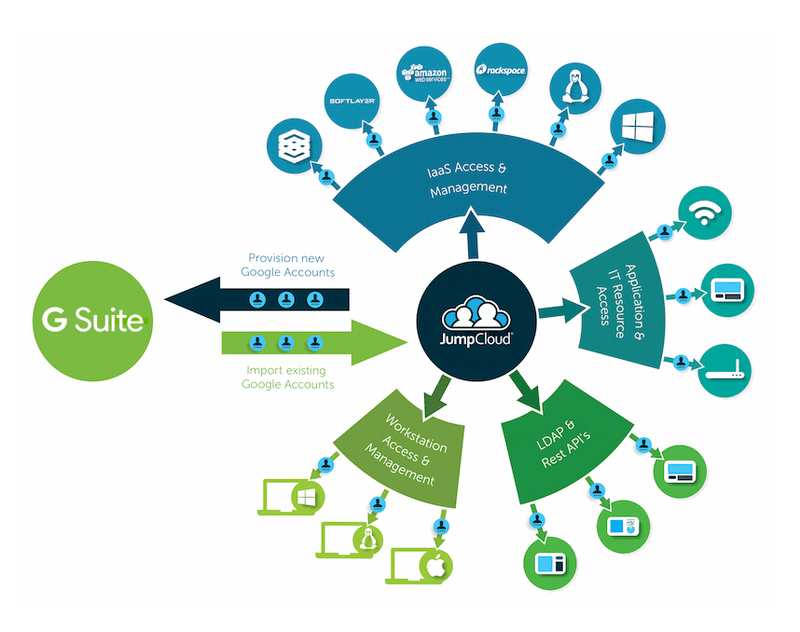 Alternatively, if you would like to see it in action for yourself, sign up for a free account of our cloud-based directory. Your first 10 users are free forever, so there’s no reason not to give it a shot.